Read our helpful guide to second hand Daewoo Matiz. AA Cars works closely with thousands of UK used car dealers to bring you one of the largest selections of Daewoo Matiz cars on the market. You can also browse Daewoo dealers to find a second hand car close to you today. All used Daewoo Matiz on the AA Cars website come with free 12 months breakdown cover. The Matiz was first produced in 1998 by Daewoo - the South Korean manufacturer who has since been taken over by Chevrolet. Replacing the Daewoo Tico, it is a compact city car with a supremely frugal 1.0 litre engine, surprising interior room and a fun but basic drive. 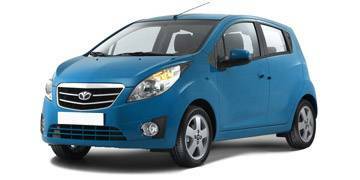 The Matiz was one of the models to continue production under Chevrolet, but it has since been rebadged as the Spark. On the used market however, the Daewoo Matiz present an excellent affordable option that boasts low costs, plenty of fun and surprising reliability.